What is really true is anyone’s guess but we should really read the material to which we link and from which we make our headlines, even Mr. Matt. 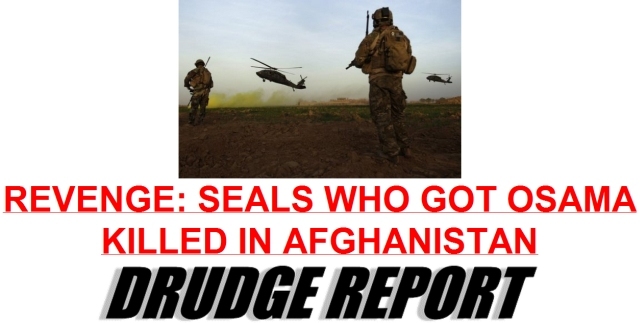 But the killed Seals were from the same unit so by some stretch the headline is somewhat true. Lame stream media may be more guilty of headline deception than anyone else so I am leaning toward forgiving Drudge for his youthful indiscretion.